While every chapter gives you great ways to avoid or reduce the inner and outer causes of stress and overwhelm, you’ll especially LOVE what you learn in Chapter 11. You have the ability – right now – to reduce anxiety, stress and overwhelm on demand. You just need to know how. Being able to dissolve stress away in a matter of minutes…any time you need to, wherever you are, is key to creating the life you want! 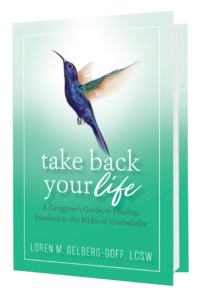 Caregivers all risk giving away too much of yourselves…and that physical, mental and emotional depletion leaves nothing for you. Chapters 3 and 8 will help you learn to be compassionate but powerful in protecting your energy and replenishing your reserves. Click for help keeping your commitment to always put yourself on your To-Do List first! Too much to do and not enough help? Do you dream of having a life that makes your heart sing…but have no time to pursue it? Are you always helping others, but never receiving any help back…and reluctant to ask for it? Then you’ll really appreciate Chapter 2! It reveals subtle ways you’re stuck in “do it myself” mode – then helps you get out of it. Click for help reminding yourself that you deserve a life you love! Is everyone counting on you? Do you wish you could say “No” sometimes but feel guilty doing so? Then I expect you’re going to devour Chapters 4, 6 and – oh yeah – 10! You’ll learn about self-care that strengthens relationships at the same time. Helping caregivers just like you enjoy a more fulfilled life while they do the demanding but important work of caring for their loved ones. 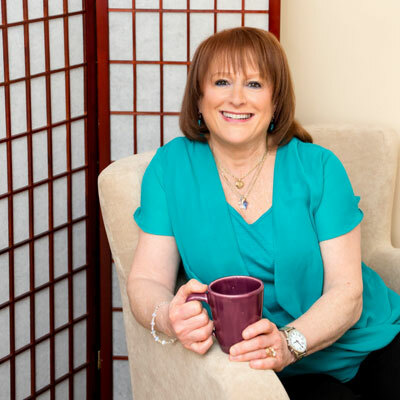 Loren Gelberg-Goff, MSW, LCSW, CHt is committed to providing you with just the right tools, strategies and guidance to support your progress, as you learn to take as good care of yourself as you do of others in your life!